We hope you find the following answers useful. You’re also very welcome to get in touch directly if you have any queries – we like to chat.  Who is the Stationery Studio? The Stationery Studio is a small team of dedicated print and stationery lovers based in Melbourne, South Derbyshire UK, and we’re part of Melbourne Print Ltd. We have a retail store where you can come and see all the items we sell online. The Stationery Studio is based at Melbourne Print Ltd. We have a retail store in Melbourne, Derbyshire, and we deliver to the whole of the UK. Click here to see all our contact details if you want to get in touch. I have a query, how do I get in touch? You can find all our contact details and opening times on our Contact Us page here. All our stock is bought directly from either the product manufacturer or their authorised distributors. All items are 100% genuine – absolutely no counterfeits. 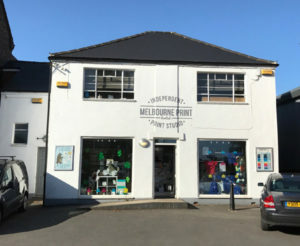 The Stationery Studio is based at Melbourne Print Ltd. Yes. We’d love to see you. Our retail store is at Melbourne Print Ltd. We’re based in Melbourne, South Derbyshire UK. Our full address is here. Is it safe to give you my card details online? We use SSL encryption on our checkout pages to provide a secure connection for submitting your personal details online. We use Stripe to process all Stationery Studio card transactions. We don’t store your card details on our servers or in our premises – when you make a purchase on our website, your card details are sent directly to Stripe to authorise and process your payment. The stock levels shown on screen are live totals, so if the product you are viewing is shown as “in stock”, then it should be in stock. Any discrepancies are few and far between – we work hard to keep our stock levels as accurate as possible between our retail store and our online selling channels. If you want to double check any item before you place an order, please do get in touch, we’re here to help. Very occasionally, there may be mistake, and we’ll contact you to to resolve this asap after purchase, but please know that we work hard to maintain stock levels as accurately as we can. We despatch orders Monday – Friday, excluding public holidays. Orders received by 15:00hrs (GMT) are despatched the same working day wherever possible. The time the order takes to get to you will depend on the delivery service selected. We use Royal Mail to deliver the majority of orders within the UK. If you require your items urgently or by a specific date, we highly recommend that you select an upgraded delivery service so that your order can be tracked accordingly. If you have any queries, please contact us. Yes, if you’re having any difficulty using the website, or would like to talk to a member of the team before placing you’re order, then please give us a call. You can pay over the phone if you prefer. My order hasn't arrived yet, where is it? If we receive your order before 15:00hrs (GMT) Monday – Friday, it will usually be despached on the same working day. We don’t despatch on Saturdays, Sundays or public holidays. Royal Mail state that they aim to deliver 2nd class post in 2-3 working days from despatch. Royal Mail state that they aim to deliver 1st class post on the next working day. Please note that these delivery timescales are their aims and not guaranteed for these postal services. Although Royal Mail’s delivery statistics show that the vast majority of mail is delivered within these timescales, you may have to wait longer for your order to arrive. We offer additional postal services including Signed For and Guaranteed by 1pm, should you want them. Please contact us for help if your order fails to arrive as expected. Please know that any delay is frustrating for us as well as you – we want you to start enjoying your order as soon as possible after purchase, and we are here to help. I've received my order but its damaged, what shall I do? We take care when packaging items to minimise the risk of damage en-route to you, however, if you’ve received our order and it has been damaged in transit, please do contact us to tell us. It helps greatly if you can send us a photo of the damaged item. Please email help@stationerystudio.co.uk with your photo and your details so that we can match up the item to your order. We’ll work with you to resolve the problem as quickly as possible. I've ordered the wrong thing, can I exchange it? Oops! If you’ve realised that you’ve made a mistake, we’ll work to help rectify this as soon as possible. If you’re item hasn’t yet been despatched, please call or email us as soon as possible. If you’ve received your item but realised that you’ve made a mistake, don’t worry, please get in touch with us to arrange a return. We’ll give you a return reference so that you can send the item back – we can then either exchange the item or refund you, whichever you prefer. Please note that you are responsible for paying the return postage cost and we can only process your refund or exchange if the item is in new condition in its original packaging. I've changed my mind, can I send my order back? Yes. We hope that you’ll be really happy with every item that you purchase from us, but if you decide that you no longer need/want the item/s you’ve ordered, you are welcome to return them within 30 days from the date of receipt. Please note that we can only refund for items that we receive back in new condition – they must be in their original, unused state with all packaging intact. To get the ball rolling, please contact us to tell us that you wish to make a return and we’ll give you a return reference to send your items back. Please note that you are responsible for paying the return postage cost and we can only process a refund when a returned item has been received and the condition checked.